Home improvement projects are on the rise. As millennials have been fed a steady diet of HGTV and house flipping TV shows, there is now a home improvement boom. In past years, the United States has spent billions of dollars on home improvement projects and industries — $326.1 billion to be exact. Though this is already a massive industry in 2018, experts say that home improvement projects are set to increase. By 2025, it is expected that home improvement spending is set to rise by 2 percentage points. For one, it means that Americans are becoming inspired and want to improve there home. A theory behind this boom is that Generation Y (children born in the 80s and 90s) will want to remodel the homes left over by the baby boomers and the generations before them. The only issue millennials are likely to face is that many won’t have enough income to pay for both their houses and their remodels. So, only the affluent generation Y individuals will be able to account for this spike in home renovations. Experts have also stated, that by 2025, adults over the age of 55 will account for 33 percent of the home improvement increase. Not only will millennials be responsible for the home improvement spike, but the younger generation of baby boomers as well. With the home improvement spike that is set for the future, contracting companies are getting prepared for the increase of business. Though there is an increase of home improvement projects, homeowners will have to stay vigilant to find a company that is worth their money. 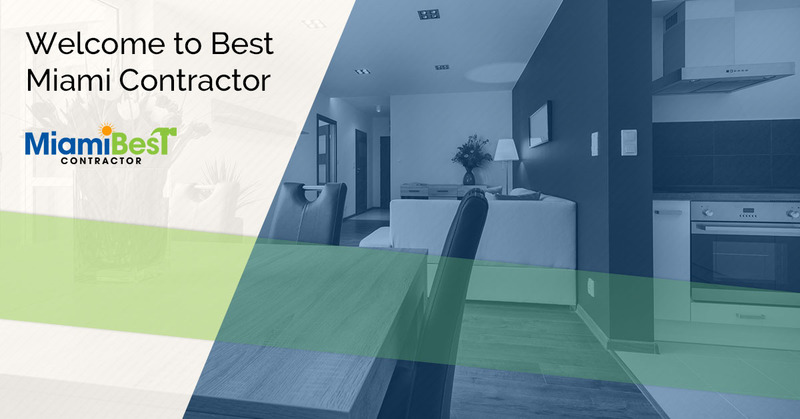 For instance, since remodels cost so much money, homeowners will want to hire companies that they know will do a satisfactory job the first time. More importantly, owners will want to make sure that all jobs are being completed well and on time. At Best Miami Contractor, we are dedicated to providing the best contracting services for our clients. Not only will you receive great service, but you will be able to look at your new remodeling projects with complete satisfaction. Within our business, we can handle any remodeling project you place in our way, such as kitchen remodels, bathroom renovation, bedroom restorations, and much more. Your kitchen is the central room in your home. Whether you notice or not, your family gravitates to the kitchen. Part of the reason for this natural pull is because the kitchen offers a safe, quiet place filled with delicious food and beverages. Inside your kitchen, your family can converse and experience timeless moments together. Because your kitchen is such an important room in your household, it would make sense to have it look its best. Our company works hard to make sure that you get the exact kitchen you have always dreamed of. Together, you and our contractors can communicate on important aspects of the project to make sure it is complete to your exact specifications. If your bathroom is outdated and needs a little TLC, we can help. Your bathroom is one of the most used rooms in your home. This room is utilized by not only your family, but your guests as well. Because your bathroom is a shared room with your relatives, friends, and family, you will want it to look inviting and calming. Our company is dedicated to making your bathroom restoration simple and easy. Though our company does both kitchen and bathroom design and contracting, we also can handle a plethora of other projects as well. Contact our business today if you are interested in improving your living space with our contracting company.